Clearly something was chewing through my GPS receiver to produce the pretty little pattern you see here. Let me assure you we weren't making North/South trips while varying our East/West by fractional degrees. But it does make for a cute "Etch-A-Sketch" like drawing. Expecting initiation in the mid-afternoon hours, we took our sweet time leaving Goodland allowing us the chance to see things in the daylight hours. 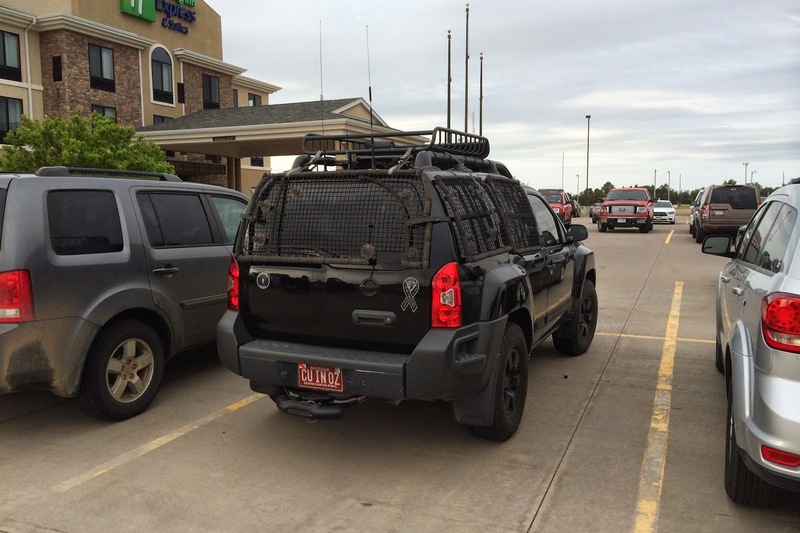 The Texas chasing group was driving this vehicle as part of their convoy. I always enjoy looking at other folks handiwork when it comes to building urban storm assault vehicles. 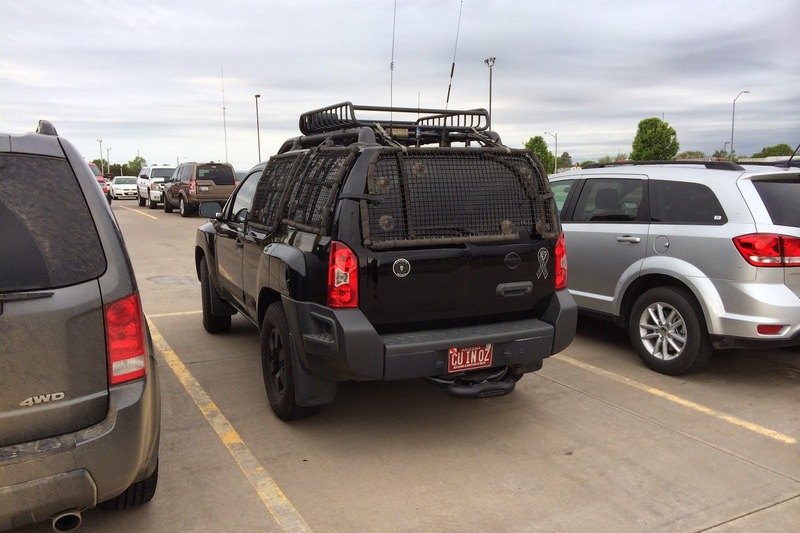 Clearly, some time and thought was put into the design of this rig. 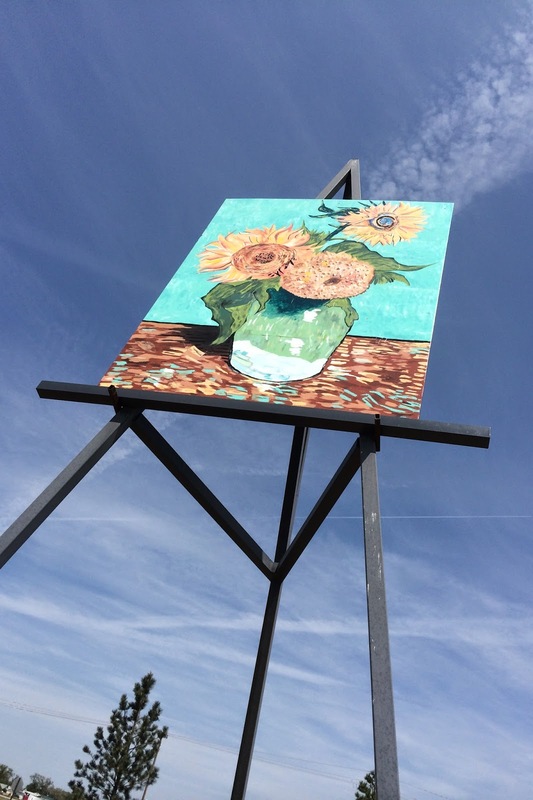 After breakfast, we wished the Texas group who were huddled around their laptops in the hotel's commons area "good luck my partner reminded me she wanted to see the "giant" Van Gogh painting located in town. Both literally a stones throw away from the easel of giant sunflowers. 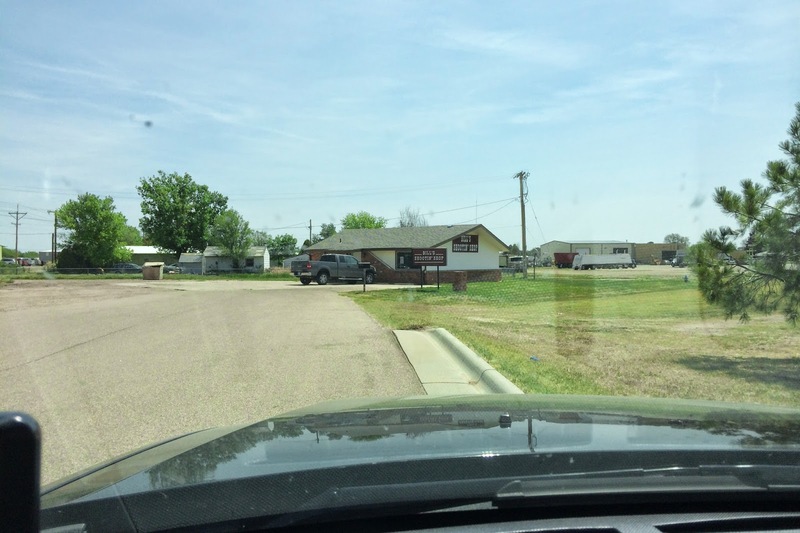 Go see all three the next time you're passing through Goodland! 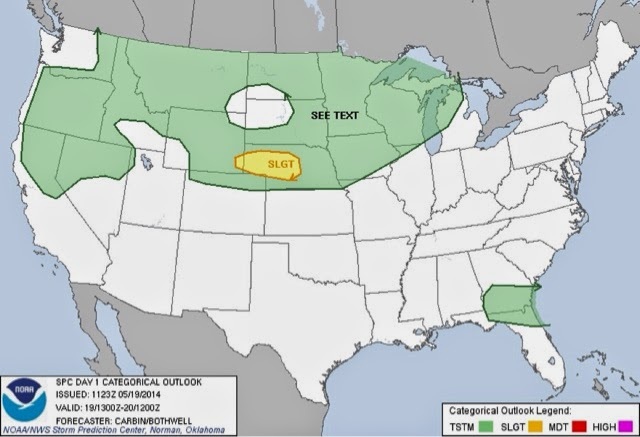 Clearly the Storm Prediction Center was hedging it's bets with a Day 1 forecast like this. But clearly the area of focus was about 130 miles away from our past evening's lodging. 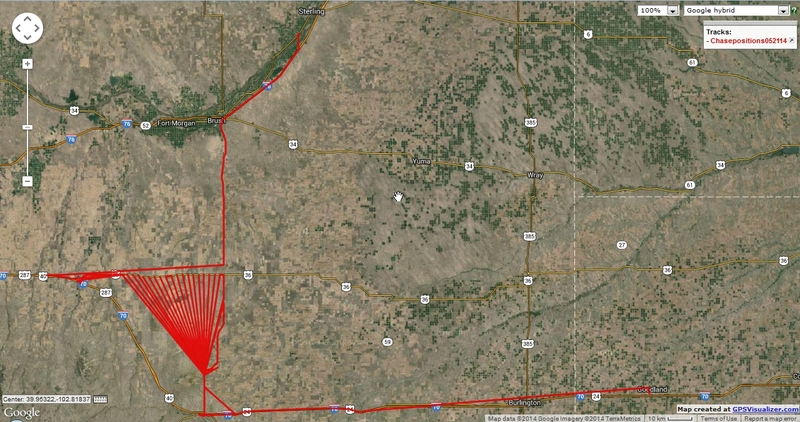 Our initial plan was to travel west on 70 to Limon CO. From there we'd determine an intercept route. As we traveled, it became fairly clear initiation was occurring earlier than expected just to the southwest of Denver. I have a HUGE aversion to chasing in large metropolises unless I live in it. Even then, I'm not too keen about sticking myself out in traffic where the clueless rule. 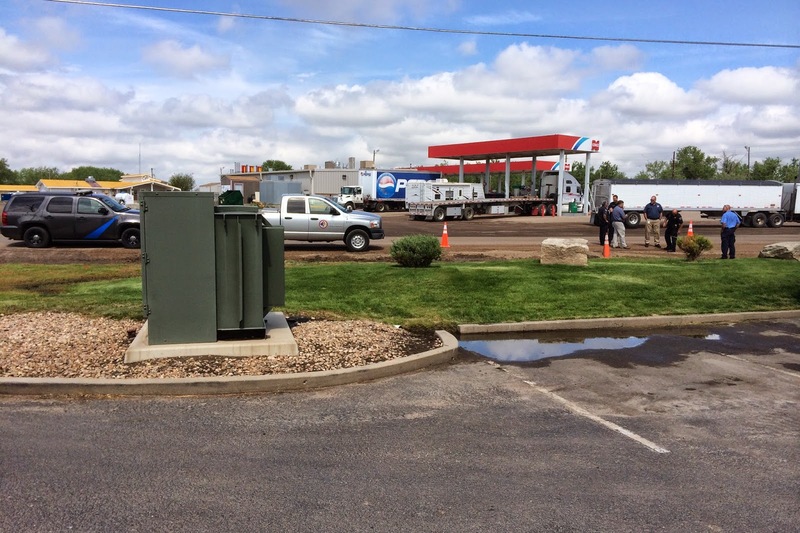 And so the decision to stay out of Denver entirely worked in our favor when we reached Limon. After a "topping up" of the tank, we scrambled north on 71 toward Last Chance. You know? 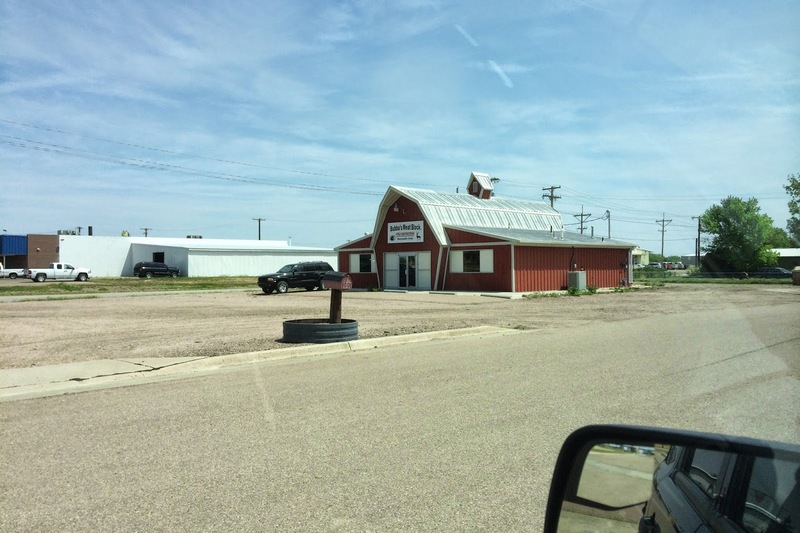 for being so close to Denver, Highway 71 is about the most desolate stretch of road I've chased on since back when I chased west of Watertown SD a few years back. Wind farms to the right, and prairie to the left with a smattering of abandoned roadside farmhouses just to complete the look. Kind of a beautiful desolation yet, I don't know if I'd want to be stuck out on that road for the little traffic we encountered even in the mid-afternoon on a weekday! By the time we'd made the turn to westbound 36 out of Last Chance, the structure of the storm now beginning to pummel the Denver metro was just mesmerizing. So much so that neither of us managed to get a photo of the towers that we were soon to be under. 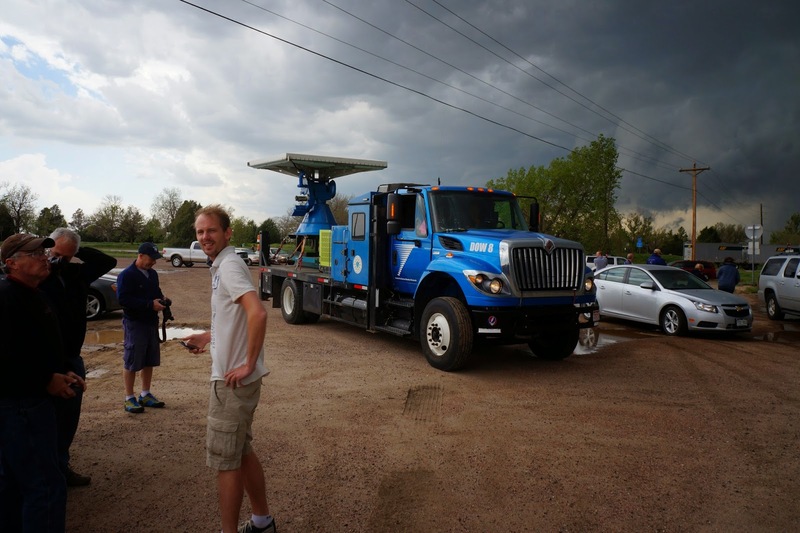 Our timing was going according to plan with us intercepting the storm in the town of Bennett. Upon our arrival, we were met with a nice little non-rotating wall cloud that was beginning to get its act together as it entered town. 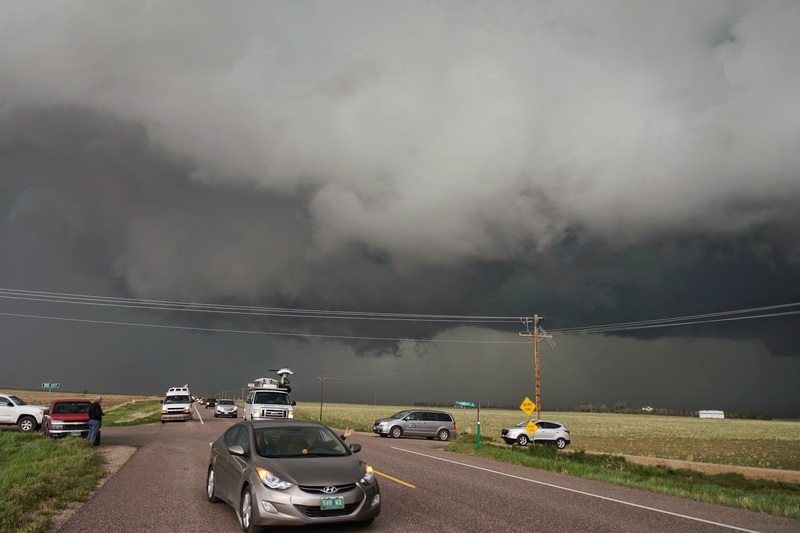 We decided to stop on the shoulder just prior to entering Bennett to get some photos and have a closer look at the wall cloud and scud being lifted into the storm. 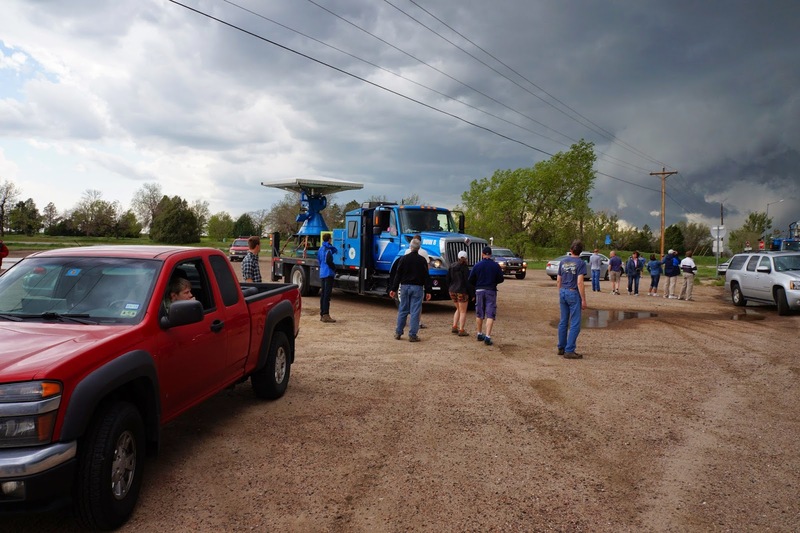 2 DOW trucks, an OSU phased array flat panel radar, Met classes, Tour vehicles, News vehicles, and last but not least, individual chasers from around the country hoping for something to produce and put the tornadic dry streak to an end... 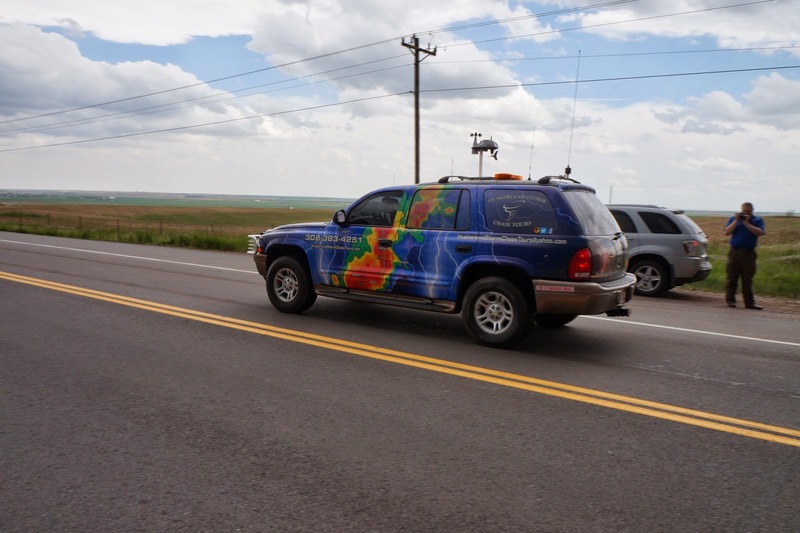 I wouldn't be exaggerating to say hundreds of people took part in this parade of weather sensing and recording hardware on wheels. 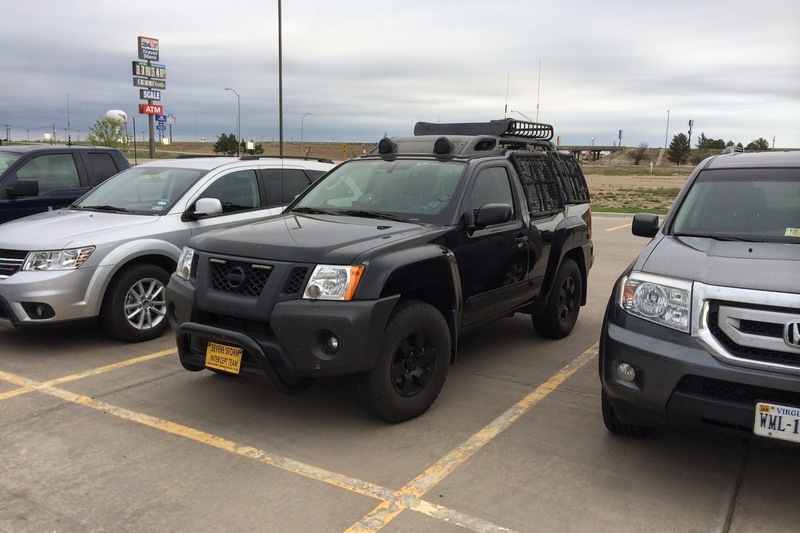 I guess I've been spoiled with chasing in the northern plains. I've never experienced anything like this. 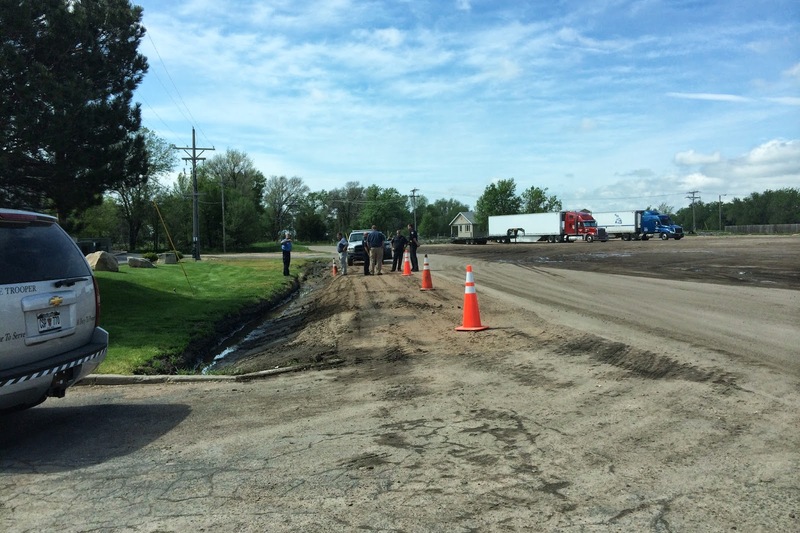 I will say however, that people were mindful and considerate of those side of the road observers when they entered and exited the parade and drivers drove slowly through areas of viewers. I would've hated to see a situation that could have easily gone poorly if a vehicle became disabled and many vehicles trapped behind it as Hwy 36 was the only game in town if we needed to suddenly sprint from the area. 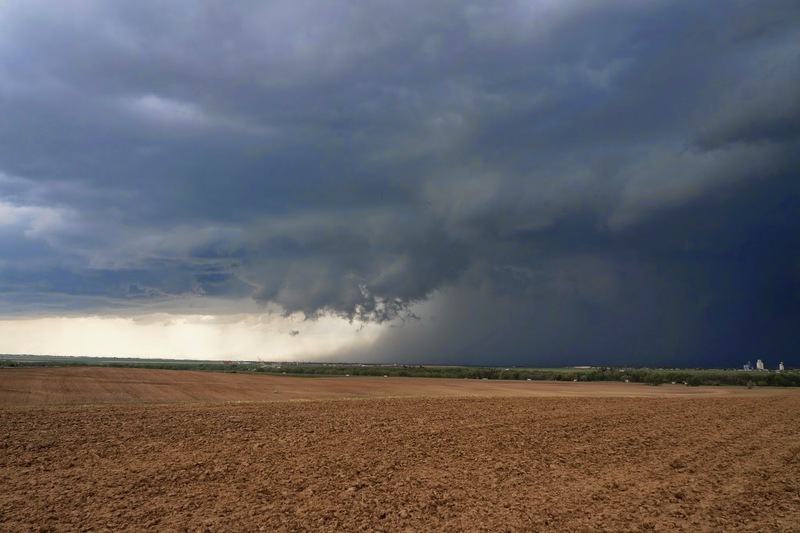 What appeared to be a promising cell at times, both showing rotation and lowering, became outflow dominate and continued to rain large chunks of hail to those unfortunate to be under the main core as it passed. We decided to avoid that drama and blasted our way east back toward Last Chance. 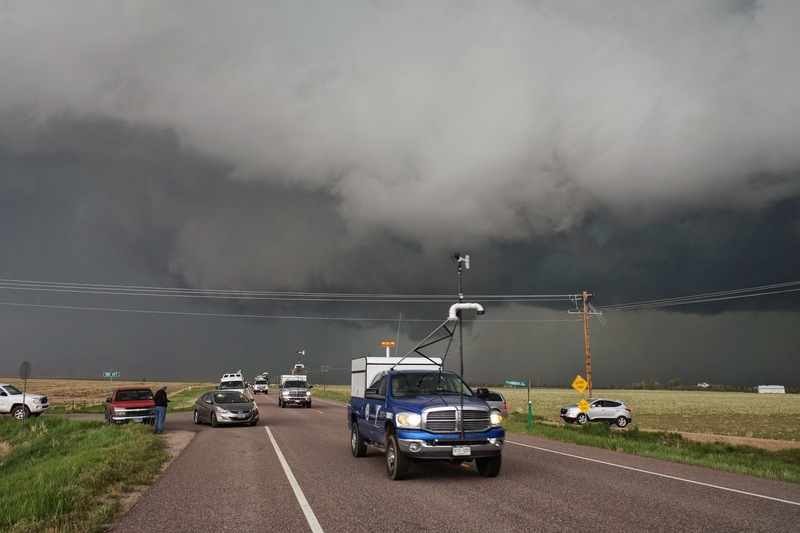 There were a few tense moments when we decided to bolt north out of Last Chance on Hwy 71 when we learned that the cell we had just been chasing went tornado warned and would eventually cross our path if we didn't "expedite" our travel north. And of course, We come across this 18 wheeler riding a continuous 56 MPH up Hwy 71. Making it difficult for those in the know to get around it and avoid chaos. We never saw anything resembling a tornado or funnel because everything was wrapped in rain but we weren't going to poke the bear by attempting to get near it either. 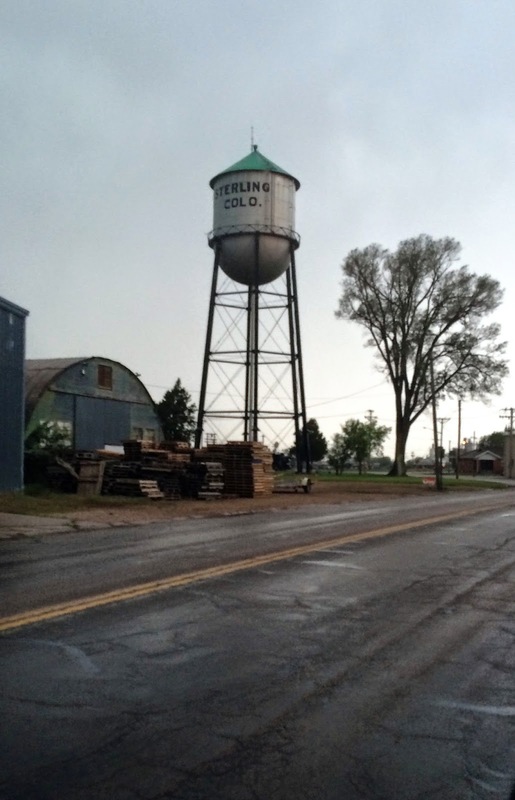 We settled on Sterling CO. as our stop for the evening letting the remnants of the storm roll over us. Come to wake up the following morning to a number of official vehicles outside our hotel room where some road work was taking place. 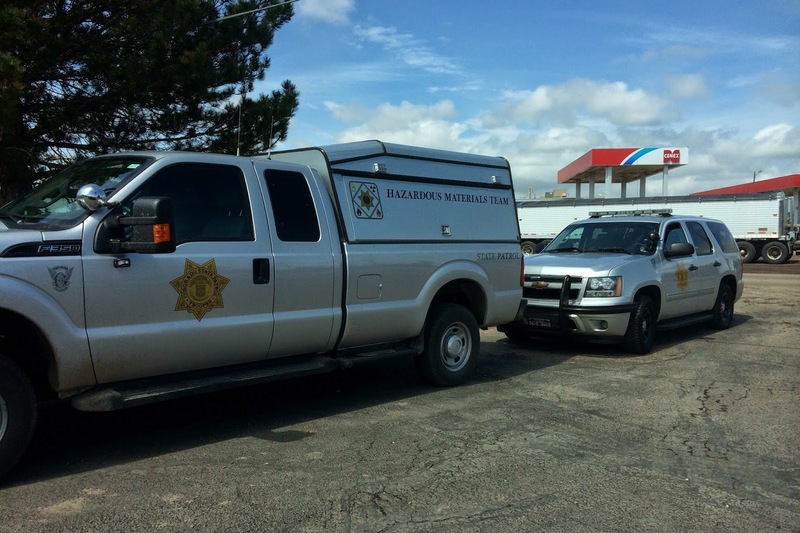 Then we find out it's the local Hazardous Materials Team. 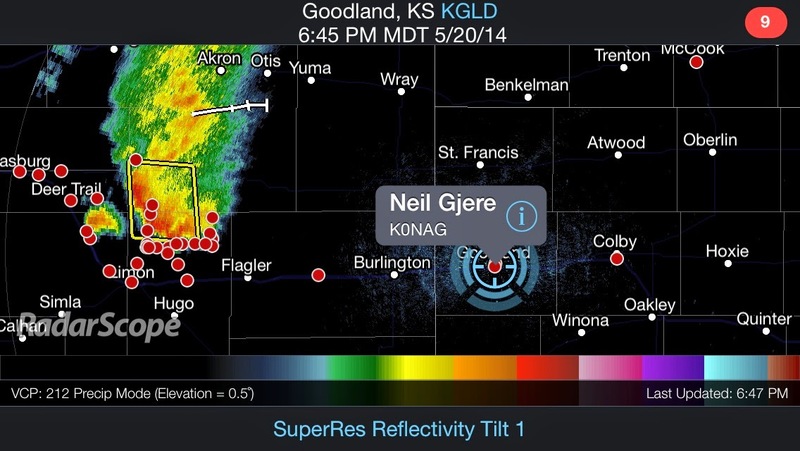 After making our way across Kansas, we settled into a hotel in Goodland to stage ourselves for Wednesday chase. We managed to find a steakhouse in town called "The Shiraz" for some dinner and drinks. 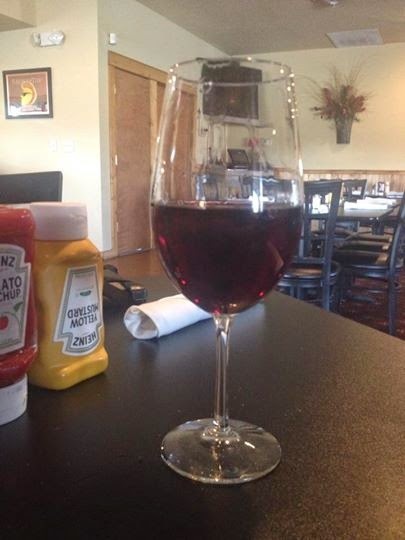 My partner was very happy to receive the large pours of wine after the day on the road. Of course we were keeping an eye on a storm that had recently gone through the Denver metro and was taking aim directly at Goodland. It seemed to be taking its sweet time to make any sort of headway across the plains toward us which gave us ample time to finish our meal and drinks, go back to the hotel, grab some camera gear and settle in a spot just outside of town in plenty of time to watch the sunset against the supercell that was headed in our direction. This cell was about 35 miles due west of our position. Sadly, we had gotten there a little too late as the sun just wasn't as colorful as thirty minutes before. You know, that "Golden Hour" thing. If you don't? ask a professional photographer. While we were in our photo moment, we had a local chap pull up next to the field we were in, asked "if we knew we were tresspassing?" to which I answered "Yes" and before I could get the next apologetic sentence out, he replied "I'm just pullin' your leg" Whew. Half thought I was gonna see something come off the gun rack next. 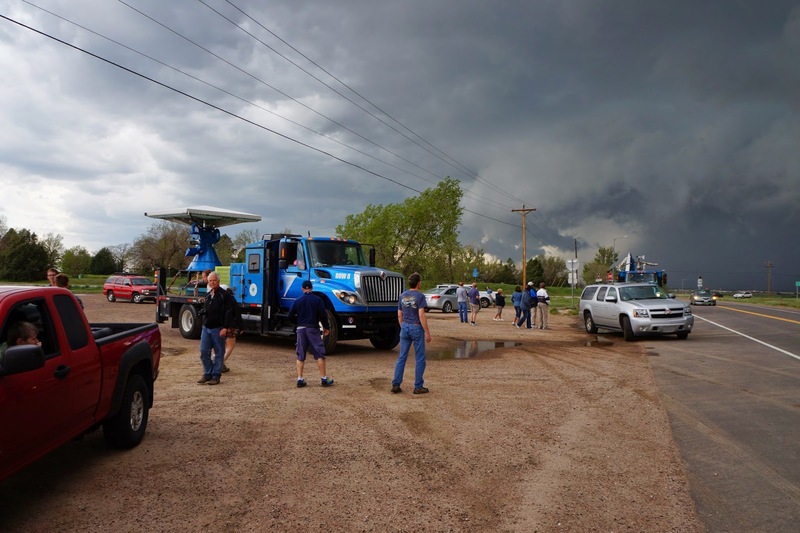 We proceeded to have a nice chat about weather, chasing, the town of Goodland, and how at one time he wanted to be a storm chaser but through his over the road trucking job he'd seen one or two and that kind of broke him of the interest. Damned if I can remember your name though. In any case, thanks for the laugh and the hospitality. I always try to get a taste of the local scene any time I'm out chasing. As the sun set, so did our conversation. Our new friend departed with us smiling and staring at the now dimly lit cell making its way closer. Did I say the whole reason for us being out there was to capture some lightning shots while the storm was still some distance away? Early attempts were kind of feeble with the low level clouds obscuring the electrical show up on top. So, we decided to pack it in and head back to the hotel for a nightcap. 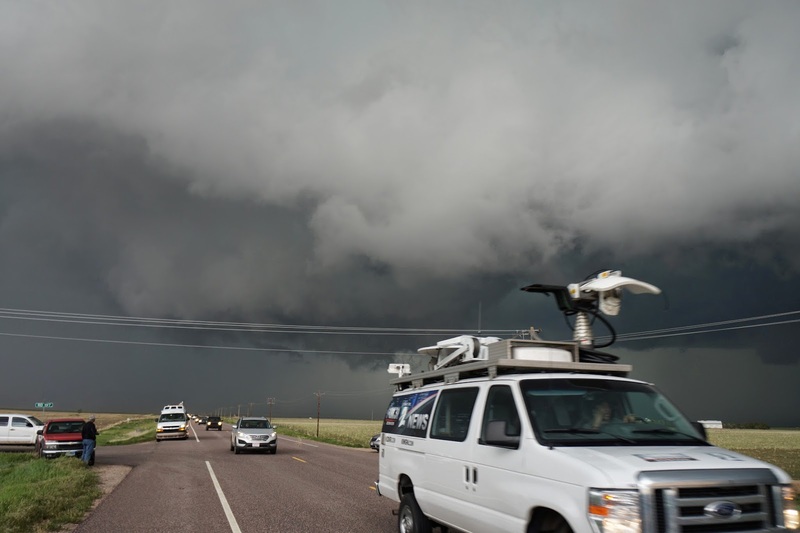 Upon our arrival, we met up with some Texas chasers who were chasing the very same cell we were photographing. 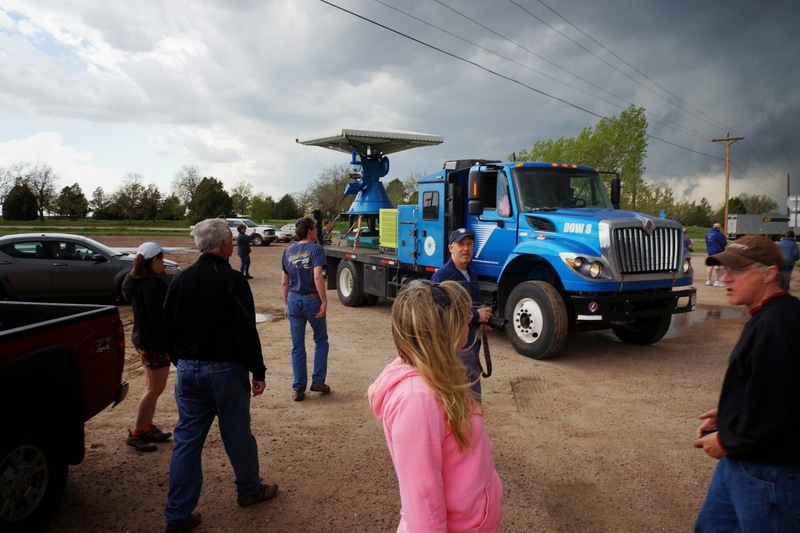 One of the chasers said that it had spun up a brief tornado but they had gotten no evidence due to the fact it was rain wrapped. It did however, throw out a lot of large hail according to others who'd just drive through the storm and decided they'd had enough for the night and needed some hotel refuge. As we were chatting with the Texas bunch, I noticed the electrical activity was coming off the rails and beginning to spew forth some very impressive cloud to cloud spreads. My partner had had enough for the day and wanted to just enjoy the rest of the evening. I however, wanted to grab at least a few shots before I hit the bed for the night. I set out with the intent of going back to the original site that we'd claimed earlier. It was now dark enough where I just needed to get out of the lights of the city. A whole six blocks. I set up my camera and fired off several shots before it was clear that the storm was clearly weakening and turning to the North as it did so. It never became an issue for the good folks of Goodland, but it was a great light show for those who were there to watch it! Maybe with some luck, our chase day will be short. 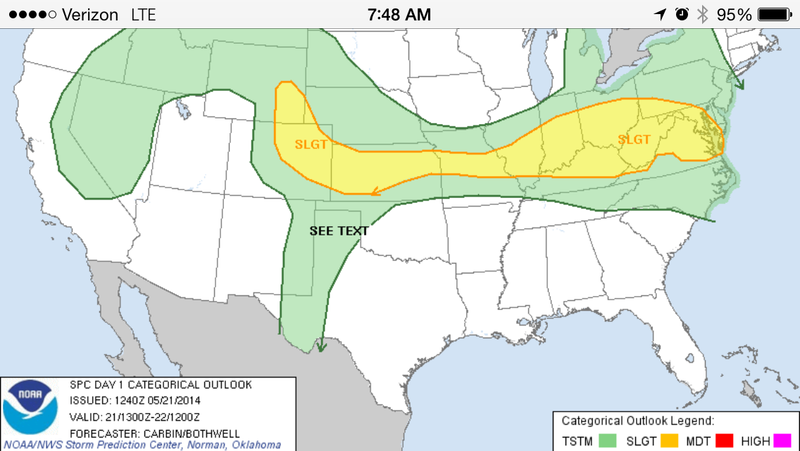 Models seem to indicate late day instability increasing south and east of the present slight risk area. I'm going to make a conservative play and stay close to headquarters... Stay tuned! 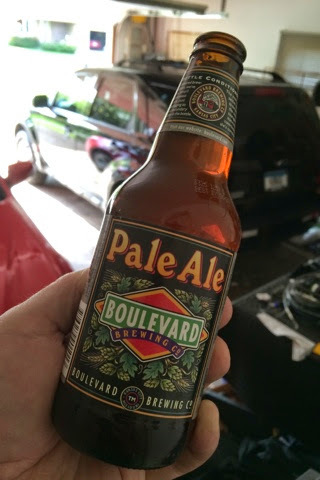 Got to have a couple of KC's finest brewing product before hitting the road for a week of chasing. Gets the chase juju lubricated for positive vibes. Leaving tomorrow morning for a leisurely drive south into KC where my domestic/chase partner and I will sample KC's food, drink, and fun for a couple of days before hitting the road to see where the wind takes us. Models hint at several opportunities in the mid-week which we will watch closely. There may even be a play on Monday afternoon/evening in SE NE. No major outbreaks expected this week. 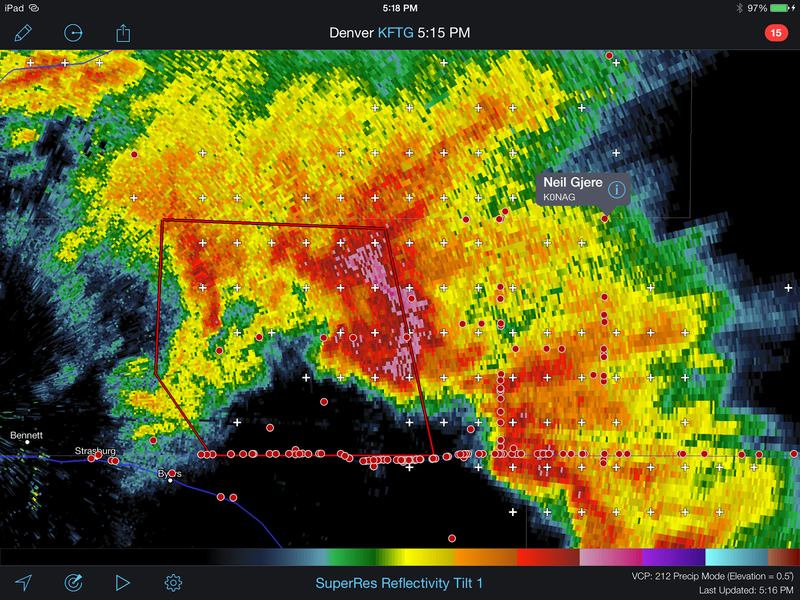 But a good shot at various isolated supercells popping up throughout the Great Plains. 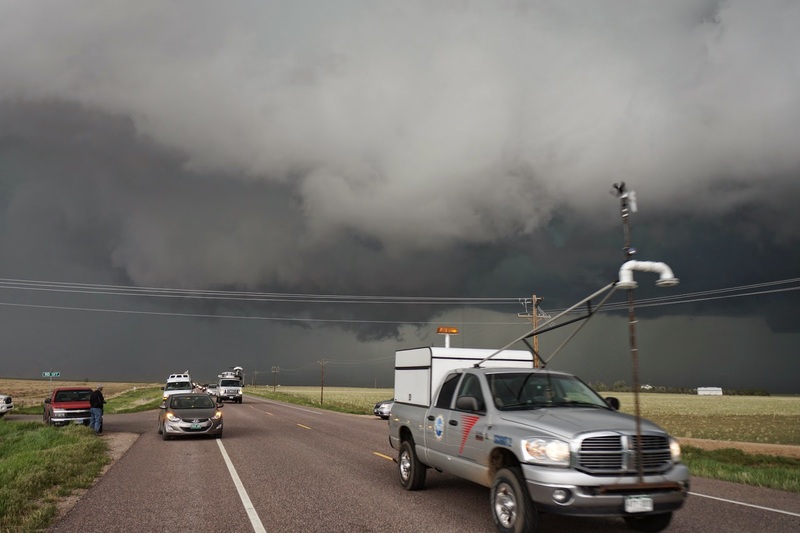 Hope is the marginal conditions will keep many chasers who would be out at this time of year, home for another week or so allowing us to grab a few storms before the on-rush of yearly chaser groups descend on the area. I plan to try to blog at least once or twice a day depending on our travel demands. We'll be posting things to Facebook and Twitter as well so keep a look out for all things social media! Video of my chase last Thursday May 8th. This is at Exit 187 of Interstate 90/Mower County Road 20 In between Austin and Stewartville Minnesota. On my way home, I watched another cell literally explode over my head and I ended up "Core Punching" it unintentionally. On the other side of the storm was this sizable wall cloud that looked like it was going to produce. As you can see, it never did but, it was still a great opportunity to capture a storm mode in a perfect position relative to the storm with little personal risk. This is about a fifteen minute chase condensed into three. 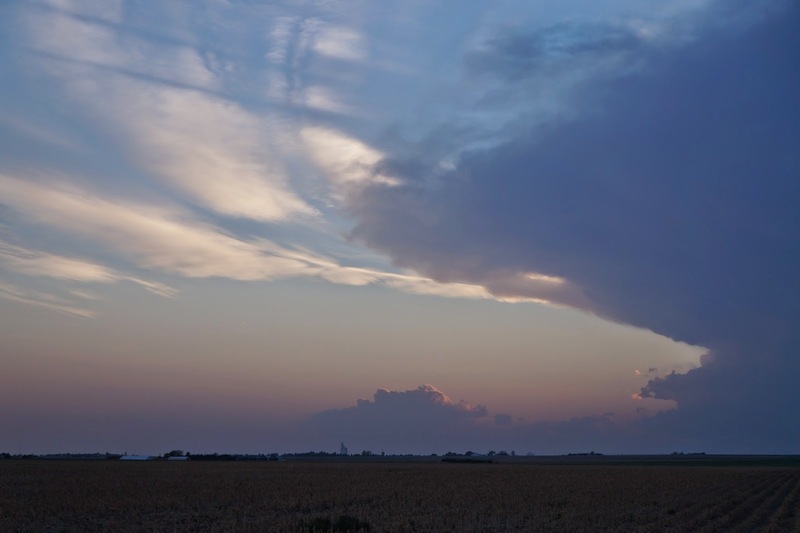 This storm cell actually went on to produce several more rotating wall clouds before finally reaching more stable air.